Are you looking for a reliable web hosting company that can provide you the best support and uptime? 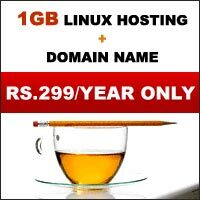 Hosting India, an India based quality web hosting company offers quality, secure and affordable web hosting services available in all sort of ranges required for individuals, small business and corporate companies. Hosting India offer 100% reliable dedicated server web hosting on linux and windows 2003 servers. Hosting India offers you a wide range of hosting packages, each designed to meet specific business requirement. Each hosting package allows you to set up your website effortlessly and manage it effectively with the help of our web based user friendly Hosting management Interface.